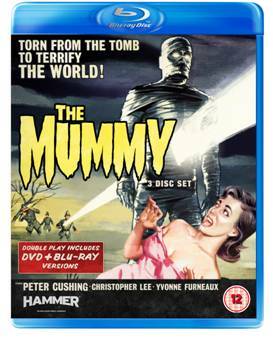 4 Star Classic British Horror, Now in Beautiful Blu-ray. A classic Hammer Horror from the skill of Terence Fisher, (The Curse of Frankenstein, Dracula, The Hound of the Baskervilles and Dracula: The Prince of Darkness) a fine pedigree for a great British film studio. A 3 disc set, 1 Blu-ray and 2 DVD's with loads of extras.